This module is part of a ‘tips and tricks’ in health professions series, with the purpose of clarifying difficult concepts or providing advice on remembering key concepts. 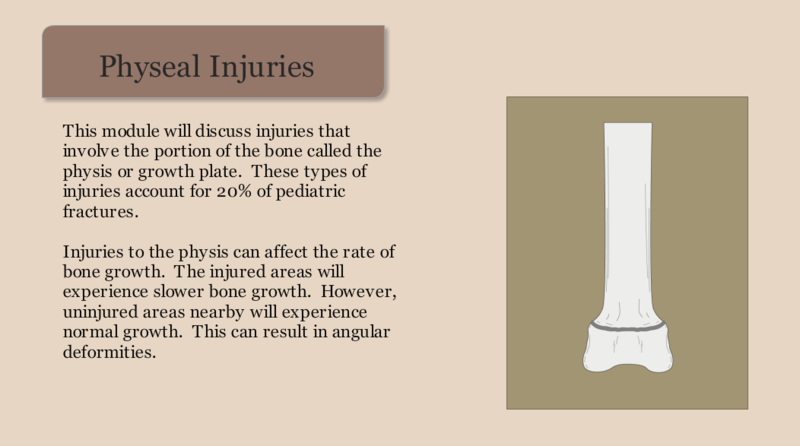 The module discusses pediatric fractures. I designed the module, interactions and illustrations.